The internet being the internet, Stephen Fry having added his voice to those calling for the Parthenon Sculptures in the British Museum to be returned to Athens will doubtless lead to a great clamour in his wake, largely from people who've hitherto not given the subject more than two minutes' thought. And that's not necessarily a bad thing. It is, at any rate, not an unusual thing. Fiction, sure, but one that reflected something all too true; despite all those nowadays who claim that the Falklands are as British as Whitehall, back in 1982 huge numbers of Britons had no idea where they were. * Still, in no time at all Mrs Thatcher had Britain crying out for their return, for reasons of national pride and strategic sheep purposes. Having won her glorious victory over a few thousand ill-equipped Argentinian youths, she went back to the polls in 1983 and was rewarded by having her share of the vote drop to 42.4%, while the two main opposition parties garnered 53% of the vote between them. Of course, the British electoral system being a model of democracy and known for how it so accurately reflects the will of the people, this translated to a massive victory for the Conservatives. But I digress. The important thing, at any rate, is that huge numbers of Britons knew nothing about the Falklands when they were invaded, but brushed up quickly. Likewise, even those who've never given the Parthenon Sculptures a moment's thought before Stephen Fry piped up will have been able to think quickly about this, do some research, and quickly realise that there's not really any good reason why they're in London rather than Athens. No, it won't do to claim that they were bought fair and square from the legitimate rulers of Greece two hundred years ago. Greece was occupied by the Ottomans at the time, and the Greeks were far from happy about being under imposed foreign rule -- so unhappy, in fact, that within nine years of the Parthenon Sculptures being shipped overseas, the Greeks began a successful revolution that won them their independence. The Parthenon Sculptures weren't the Ottomans' to sell. That so many of the Parthenon Sculptures are in London now is a simple case of receipt of stolen goods. Yes, we all know they'd probably have gotten damaged had they been still on the Acropolis during the War of Independence, with the Turks using the Erechtheion as a munitions store, just as they'd so disastrously used the Parthenon a century and a half earlier during a war with the Venetians. That most of the sculptures were away safely in London at the time surely preserved them. That's great. The Greeks are genuinely grateful for this. And as a reward, the British people have had two hundred years to admire them. It's time to give them back. It is, frankly, dishonourable to try to pretend that they belong in London. It's the kind of thing that utterly gives to lie to any supposed sense of 'British fair play'. That said, it's important to understand that we shouldn't be talking about returning them to Greece. We should be talking about returning them to Athens. There'd not be much point in sending them back if they were to end up in Corinth or Thessaloniki. Pull up your seats. This bit matters. I'll simplify, but not by much. 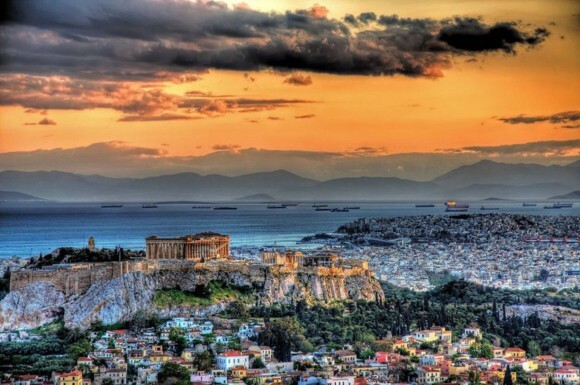 The Acropolis -- the 'high city' -- was the ancient historical heart of Athens, a safe hilltop settlement. As time went on, more and more people began living around the base of it and on nearby hills, such that it became the religious and ritual centre of the city, the city's temple precinct. During the Persian invasion of 480-479 BC, the Persians occupied the city and destroyed the temples on the Acropolis as an act of revenge for their humiliation at Athenian hands in the battle of Marathon a decade earlier. Having eventually driven off the Persians, the Athenians resolved to leave the Acropolis as it was, as a permanent memento of what they'd experienced and triumphed over. A few decades later they had second thoughts, and under Pericles embarked on building programme that -- in tandem with much else -- was destined to make Athens not merely, as Pericles put it in his famous Funeral Oration, 'an education to Greece', but an education to the whole world. On the Acropolis this led to the construction of the huge monumental gateway called the Propylaia, the small Temple of Athena Nike which stood beside it, the rather ornate Erechtheion -- one important part of which is also in the British Museum, a series of smaller shrines, and above all the Parthenon, the great temple to Athena the Virgin. Designed by the architects Ictinus and Callicrates, who factored in a couple of marvellously subtle optical illusions that made the building even look more elegantly regular than it actually is, and with the whole project supervised by the sculptor Pheidias, later to become known as the creator of the Statue of Zeus at Olympia -- one of the seven wonders of the ancient world -- the Temple was an architectural and artistic eulogy to Athens. It's crucial to understand this. The Parthenon wasn't just in Athens. It was of Athens. It was about Athens. Its whole purpose was to celebrate and glorify Athens. It makes no sense save in the context of Athens. It is this, more than anything else, that makes the Parthenon Sculptures a special case. The first phase in the sculptural project was the carving of 92 metopes in high relief; the metopes were square marble slabs, just over five foot high, depicting battle scenes, placed high up around the exterior of the Parthenon. The first ones visitors to the temple precinct would see were a series of metopes showing Greeks fighting Amazons, but as they followed the images around the long northern side they'd see a series of fights and duels from the Trojan War, then an array of depictions of the Greek Gods fighting giants, and finally, along the long southern side they'd see episodes of combat between Greeks and Centaurs. Every single set of metopes is designed to convey the same message: Greeks are not barbarians -- strange and sometimes savage people who make weird 'Bar bar' noises when they speak -- and when Greeks fight barbarians, they win. The Greeks, the Parthenon was saying in none too subtle a way, are the best. Why would visitors experience the metopes in that order? Well, that's because the order in which they followed the imagery was largely dictated by the inner Ionic frieze, carved in low relief around the main body of the building, and visible from a distance between the Doric columns. 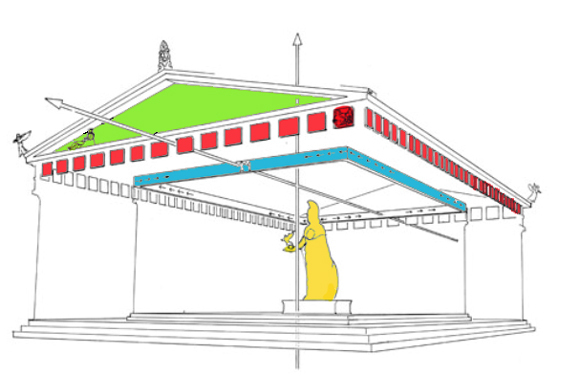 It's represented in blue in the following diagrams, with the metopes being in red. More than five hundred feet long and more than three feet high, the frieze, carved after the metopes were complete, focuses sharply on Athens itself rather than Greece in general. Depicting an idealised version of the annual Panathenaic Procession, the main narrative of the frieze heads north from the south west corner and turn east along the temple's long northern flank, the procession culminating at the eastern end with a depiction of the Gods, and what seems to have been the presentation of the peplos -- or woman's robe -- to Athena; every four years the highlight of the procession was the decoration of Athens' main cult statue of Athena with a newly-woven peplos. Of the 378 figures that were on the frieze, 192 were cavalrymen. This is no accident: they represent the 192 Athenians who fell defending Greece in the Athenian victory at Marathon, that victory that John Stuart Mill said was a more important event in British history than the Battle of Hastings. Those 192 Athenians were buried just twenty-six miles from the Parthenon, graced with the rare honour by the Athenians of having been buried where they'd fought and died, rather than being brought home. It's impossible to downplay how much Marathon meant to the Athenians; when Aeschylus, arguably the greatest of ancient dramatists, died, his epitaph said nothing about his many artistic achievements. Instead it said just one thing: that he had fought at Marathon. If the Doric metopes had celebrated Greece and Greece's superiority over barbarians, using legendary victories to celebrate such recent triumphs as Salamis and Plataea, so the Ionic Frieze celebrates Athens, Athena, and the immeasurably great Athenian achievement in having defeated the Persians at Marathon. The Parthenon sculptures would have been just as brightly painted, and would have been quite clear from some distance. At either end of the Parthenon were its own pedimental sculptures, rendered in green in the diagrams; carved in the round after the Ionic frieze was complete, these were among the supreme sculptural achievements of classical Greece. At the western end, visitors would see the famous conflict between Athena and Poseidon over who would have patronage of Athens -- and can you imagine a better visual boast for a city than a depiction of the Gods themselves competing to see who would have the honour of being associated with it? Supposedly it was the legendary King Cecrops who chose between the Gods, picking the one who gave the greatest gift. Poseidon drew forth sea water from the ground, offering the Athenians that mastery of the sea they would later use to beat the Persians at Salamis, but Athena simply planted an olive tree, giving the Athenians the plant that would be the source of much of their wealth from then on. Pediment on top, Doric metopes below, Ionic frieze within, all facing out. Simples. Inside, of course, was the giant chryselephantine statue of Athena herself, a wooden core plated with gold and ivory, just like Pheidias' later masterpiece at Olympia; alas, it has been lost to us for many centuries. In the summer of 2010 I visited Athens for my fourth time, and on a memorable day that saw me twice giving directions to a flustered Dylan Moran and later walking into a lingering cloud of tear gas, I made my way to the new Acropolis Museum. Situated just a few minutes walk from the Acropolis, with just the Theatre of Dionysus** between the two and with the Acropolis itself clearly visible from inside the museum, it's pretty much a model of what a museum should be. Visitors to the museum walk in at ground level, looking down onto archaeological excavations of the classical city that's below nearly every footstep in central Athens, and work their way upwards through the museum, each floor representing and featuring artifacts from a later period, culminating, as you'd expect, with the Parthenon Gallery on the third floor. A few pieces of sculpture are all that's original there; otherwise plaster casts take the place of missing pieces, the vast majority of which are in Bloomsbury but which are also scattered in the Louvre and elsewhere. Not merely do massive windows on all sides give a clear view of the Acropolis itself and the Athens guarded over by the Acropolis, but the gallery is arranged in such a way that the pieces -- or their replicas -- are placed in such a way that they can viewed in the same order that they were always meant to be viewed, seen in the same Greek light by which they were always meant to be seen. Spaced out as they'd have been on the Parthenon itself, the pieces in the Acropolis Museum are organised in the correct order, facing outwards in glorious natural light, telling the same story they first told almost 2,500 years ago. They're not crammed into a dimly-lit room, with the metopes huddled around the pedimental sculptures at the ends, and the frieze facing inwards in the centre. Yes, I know people get to see them for free in London. That's wonderful. I'll genuinely miss them if they go back home, as they're something I make a point of visiting almost every time I'm in London. But I've seen them lots of times, and the British Museum will hardly be impoverished without them. No museum housing the Sutton Hoo or Mildenhall treasures -- or indeed the Lewis Chessmen -- could ever fall from the first rank of the world's museums; and I don't think there's any danger of the Rosetta Stone being credibly summoned back to Egypt. The Parthenon Sculptures are about Athens. They only really make sense in Athens. We've had two hundred years to look at them. I think it's time the Greeks had their own chance. And let's face it, they could do with the money. *Down in the south Atlantic, if you're still wondering. Careful when you spread out your map, as the odd toastlet or biscuit crumb is liable to render them invisible. ** Not to be confused with the Theatre of Herodes Atticus, a mistake memorably made by Indiana Jones' fraudulent father. What measurement system was in use then ? I ask because you do not use the universal SI system of measurement. As the units feet and miles are not originaly English (as many think), I just wondered if the units were also used in ancient Greece and how thy relate to modern English units. That's a good question. Greek measurements could be iffy. The stadion, for instance, contained 600 feet, but the length of feet would vary! The Attic foot was 29.57cm; this pous would be divided into sixteen finger-breadths, each called a daktylos. Longer units than the pous included the pechys, or the cubit, which was a foot-and-a-half in length, and the bema, the pace, which was two-and-a-half feet long. Sorry for eschewing metric measurements here. My Dad'll not be impressed either, but I think the bulk of my readers are people who don't really do metric, alas. While you've written a rather brilliant description of the marbles and Athens in classical times, I think that you're looking at this through the misty eyes of a nineteenth century phil-Hellene. It's true enough that the Ottomans were less than popular throughout their 500 years of occupation of Attica, but the major uproar against their sale of the marbles came from people who has mined the acropolis for building materials; the major complaint about the cultural destruction caused by Elgin came from the Porte. While you've evoked the Athens of the Parthenon, that place, culture and people had disappeared nearly 1500 years before Elgin set foot in Greece: Christian Athenians had defaced the Acropolis marbles before Manzikert guaranteed the success of the Turks; and by the sixth century Athens and Attica were described as deserted, depopulated lands. By the early nineteenth century, the people that had come to occupy Athens (and self identified as Greek, in spite of their Illyrian names) were Byzantine, rather than Greek, Orthodox in culture rather than Hellenic. It's not until the mid-nineteenth century, with the importation of German Hegellian method, Burkhardt and nationalism that the desperate (and often unintentionally comical) attempts to coalesce an identity around a Greece in unlikely continuity with ancient Attica were made; and it's from that point that the Parthenon Sculptures re-intruded themselves into the Athenian consciousness (a time when Athens still made Market Harborough, residence of the last king of Greece, look like a cosmopolis). I suppose that my point is that an appeal to history doesn't really work in the context of the Parthenon Marbles: they are as much (and possibly more so) the cultural heritage of Europe as they are of Hreece alone. A better argument is that there are better facilities to display the marbles in Athens, but even if this were true, the plain fact is that a far larger number of people will visit the marbles in London than they will in Athens; Athens needs to make a pretty compelling argument to justify moving the marbles out of the reach of most people. To be perfectly blunt, if Greece can't even be bothered to preserve the Altar of the Twelve Gods, why on earth should we give them more antiquities to damage, destroy or otherwise fail to steward properly? 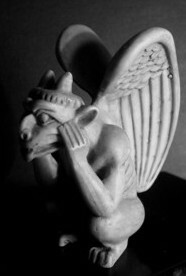 Thank you, Gargoyle. Well argued. I agree that the Parthenon Sculptures are the property, not so much of Greece but of Europe as a whole, but I find it rather rich that England should be held up as the ideal place in Europe from which to visit them. I know an astonishingly high number of English people who insist that England's not in Europe at all. You won't get any Greeks making that case. I'm afraid I'm anything but a misty-eyed nineteenth-century Philhellene. I've been to Greece four times, working in the Peloponnese and travelling through Crete and the mainland in the summers of 2000 and 2001, and visiting Athens and travelling in 2007 and 2010; I'm afraid that during my 2007 trip I didn't spare my hosts the kind of mockery I'd normally reserve for my own nation, and I found myself deeply annoyed by Greece and indeed an alarmingly high number of Greeks in 2010. My feelings about Greece are, in a word, complex. I'm not quite sure it's true to say that Manzikert guaranteed the success of the Turks; it took nearly 400 years for Constantinople to fall after Manzikert, and during that time crusades had succeeded and crusades had failed, with palace coups and sackings both foreign and domestic having fatally undermined the Byzantine state. I'd also be more than sceptical of comments about Illyrian names; that was a typical trope of those Grand Tour enthusiasts who were horrified by modern Greeks and we desperate to believe that the noble ancients had been somehow supplanted by vulgar barbarians of one sort or another. The reality is that modern genetic research shows a high degree of genetic homogeneity among modern Greeks -- even those who moved to Greece from Asia Minor in 1923 or thereabouts -- not to mention substantial continuity with the ancient Greeks. In truth, this is hardly surprising. It's clear that while invaders of one sort of another had an impact on the population, they never had a deep impact, and I say this as someone who's spent about two months camped out within a few minutes walk of a ruined Latin monastery in the Peloponnese, visibly marking how few Latins settled in Greece and how brief their hegemony was. The language hasn't changed all that much since ancient times, pronunciation aside -- and even then it's increasingly thought by classical linguists that the key shifts in pronunciation began many centuries earlier than hitherto thought -- while popular Christianity throughout the Byzantine period displayed cultural markers clearly inherited from their pagan ancestors, just as it did elsewhere in Europe. That said, the new Acropolis Museum does attempt to tell the whole history of the Acropolis, from its earliest times right through the Byzantine period and beyond, even if the latter stages of its history receive far less attention than its Classical and Archaic phases. The British Museum doesn't even pay lip service to anything beyond the fifth century BC. If anyone is guilty of nineteenth-century philhellenism it's the same British Museum that displays a callous twenty-first-century hellenophobia. Still, that aside, though there's no denying that great damage was done to the Acropolis and the Parthenon in particular even before the Muslim conquest, such damage was done everywhere throughout Europe. There's not a country in Europe that preserved its classical or even medieval heritage with honour and respect in the centuries between the fall of Rome and the eighteenth century. I don't think you can critise or punish the Greeks for having done exactly what we did. While display is important -- and the Parthenon sculptures have always been displayed in a ridiculous and misleading way in London -- it's hardly the key argument. Modern archaeologists and museologists almost unanimously recognise that context is the most important thing, basically only arguing otherwise when they have something personal at stake and fear they might lose. The British museum is a fascinating box of curiosities, but it tells no story; it's what happens when treasurehunters rip stuff out of context, doing violence to the archaeological and topographic landscapes from whence those treasures were looted. Of course, there's a serious argument that archaeology, in whatever form, is organised and orderly vandalism, and increasingly the line is taken that if at all possible things shouldn't be disturbed; if data can be acquired without damaging things, then it's best to leave things be. This is why few sites are fully excavated. Parts are left unexcavated in the hope that future surveying techniques will be able to gather data without doing any harm. It's in light of this that the discussion of the Altar of the Twelve Gods is significant. It's simply untrue and deeply unjust to say that the Greeks can't be bothered to preserve it; what they can't be bothered to do is unearth it and inspect it. They instead seem to be opting to cover it over again and leave it untouched. It'll be preserved and in future, if people wish, they can excavate it or, alternatively, they'd be able to use advanced scanning techniques -- improving all the time -- to study it through the ground. Ultimately this discussion is an odd one. I don't know many people outside the UK who take the view that the Parthenon Sculptures should be in London rather than in the city they designed, made, and originally displayed, the city they were intended to glorify, and the city from where they were sold by an occupying foreign government. It is basically a case of somebody who's bought stolen goods, trying to justify why they should be allowed to keep them on the basis that the original owners wouldn't look after them properly. It's classic coloniser's logic, most commonly used when conquering other people's lands with the supposed excuse that the conquered peoples were lazy savages who didn't make responsible use of their own resources. OK. You've almost persuaded me. Just one question (which I hope won't come across as hellenophobic...): we are quite sure that, if we return the sculptures to Greece, we won't find that in a decade or three they're sitting in Berlin or Beijing? Let's face it, they could do with the money. Or, to put it less facetiously: while the arguments for Britain retaining the sculptures may be rooted in colonialism, I don't think it's necessarily safe to assume that the age of colonialism (and colonial appropriation of artefacts under a figleaf of legality - "permanent loan", anyone?) is over forever. Or ot put it another way: given it's been 200 years, would it hurt to wait five or ten years to see how Greek civil society is holding up under perma-austerity, before returning such a world treasure? Yeah, yeah, I know: "This may be the right thing to do, but it isn't the right time to do it." I sound like an English civil servant, don't I? Just wait till I start sounding like an English lawyer by wondering what the limitation period is for claims for conversion of goods ;-). But you see what I'm getting at. Plus, even if the Parthenon sculptures are a special case, if they are returned then it will open the floodgates for other cases, each making their own claims to "specialness". Which may be a necessary and inevitable post-imperial shakeout, but you can understand why no-one wants to be the Director of the British Museum or Secretary of State for Culture who starts that ball rolling. Well, I can't imagine that that would happen, but I can see why that'd be a concern. The solution could simply lie in the terms of the return, which could bar such a thing from happening without British approval and perhaps pan-European approval too, possibly through ECJ involvement. One proposed way out of this impasses lies in how the Greeks have seemingly indicated a willingness to allow the third floor of the Acropolis Museum to be designated British national territory, like an embassy; as such, the Parthenon Sculptures once there could not be removed by the Greeks save as an act of war. This would enable them to be restored to Athens while nonetheless remain under watching English eyes. Waiting five more years or so wouldn't be a bad thing -- I think the British Museum wouldn't object to a 'last chance to see' bonanza of visitors who would make donations and might see what other treasures the museum holds. On other claims, there is a concern, of course, but I can't see any other artifacts that have the same combination of moral, contextual, and display-related arguments that the Parthenon Sculptures have. For what it's worth, I'm not even convinced there are as strong moral and contextual arguments for the return of the last Caryatid -- another of the Elgin Marbles taken from the Parthenon -- to Athens. The Parthenon Sculptures, I think, are unique. On colonialism, I have a post in my head. I may do it later. Thanks, have added your latest post to my queue. Hadn't realised about the "British territory" proposal (though I can imagine that would cause legal complications - people claiming asylum in there...?). However, clearly you are right that ways could be found to safeguard the sculptures barring a total collapse in European civilisation. But on a more practical level: what do you think it would take to make the British change their mind on this? 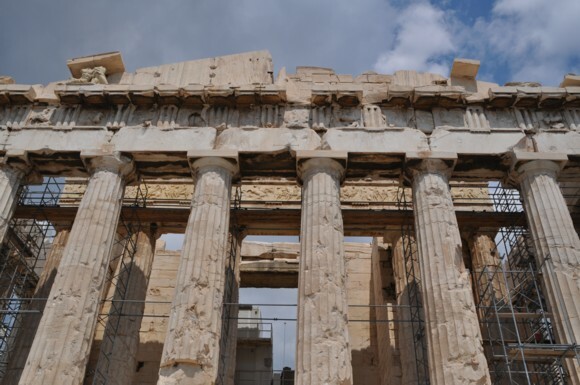 As things stand, it would cause outrage in the media if we were to "bow to the forces of political correctness" and send this "treasure of world, and British, heritage" back to an "uncertain future" in "troubled and bankrupt Greece". The Daily Mail stories - not to mention the hard-hitting why-oh-why opinion piece by "former British Museum Director Neil MacGregor, who resigned last week in protest at the government's decision" - write themselves, don't they? As the wicked person who mentioned the quarrying of the Parthenon, I would like to point out that I was attempting to steer clear of the sort of colonialist discourse that you've nailed so beautifully in your next post. My purpose in mentioning the quarrying of the Parthenon was to point out that it has not always been considered the cultural apex of Greek civilisation by the Greeks themselves: having shared a household with Greek family-members for ten years, my overall impression is that Greeks themselves find it irritating that the alien culture of their distant fore-fathers eclipses the lived culture of the last 1500 years in the minds of most Franks. Heh. Hardly wicked. I only included that reference as I thought it unfair to go quoting someone else in isolation. You're right, of course; the Greeks have varied in their attitude to their past over time, as have we all. The tendency of so many to gloss over the Byzantine period, which bridged the gap between Antiquity and the modern world in so vibrant a way, is, frankly, scandalous. Since then, of course, there have no shortage of high level poets and other writers, not to mention the Cretan El Greco back in the day, and a vibrant peasant culture. None of this should be forgotten, but the challenge, I think, is to understand how it's all of a piece, rather than to worry that the most glorious and inventive past in all of Europe should overshadow what came afterwards.